Thanks to our friends at Georgia Gun Owners for sharing this shocking video. 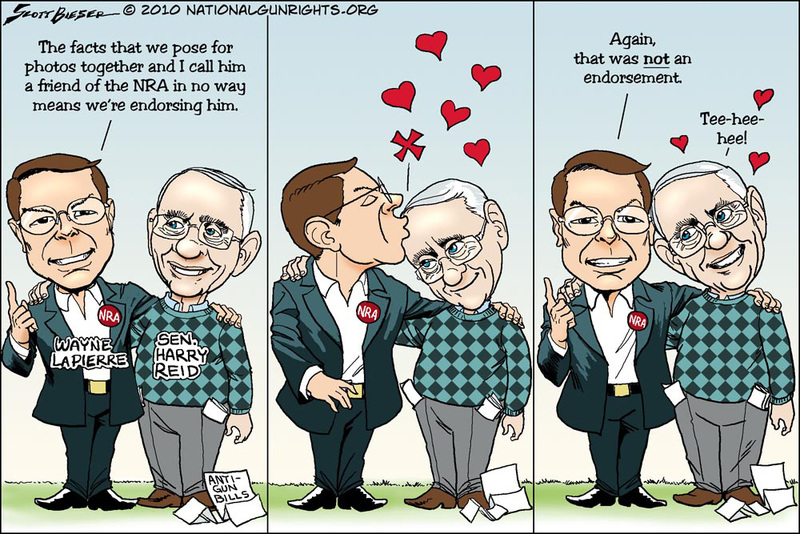 WGO reported in early 2011 that NRA’s Wayne LaPierre had expressed his support for left-wing Democrat Senator Harry Reid. NRA leaders never denied that; instead they pointed out the fact that the NRA did not officially endorse Reid (that’s true). We’ve said it before and we’ll say it again — there is an alternative to the “inside-the-beltway” institutional gun lobby. Gun owners like you don’t have to be a part of a political organization focused on gaining access to politicians, and subsequently selling you out. That’s why Wisconsin gun activists have been flocking to the 100% no-compromise message of Wisconsin Gun Owners (WGO).